Tired of your old layout or boring jewellery? 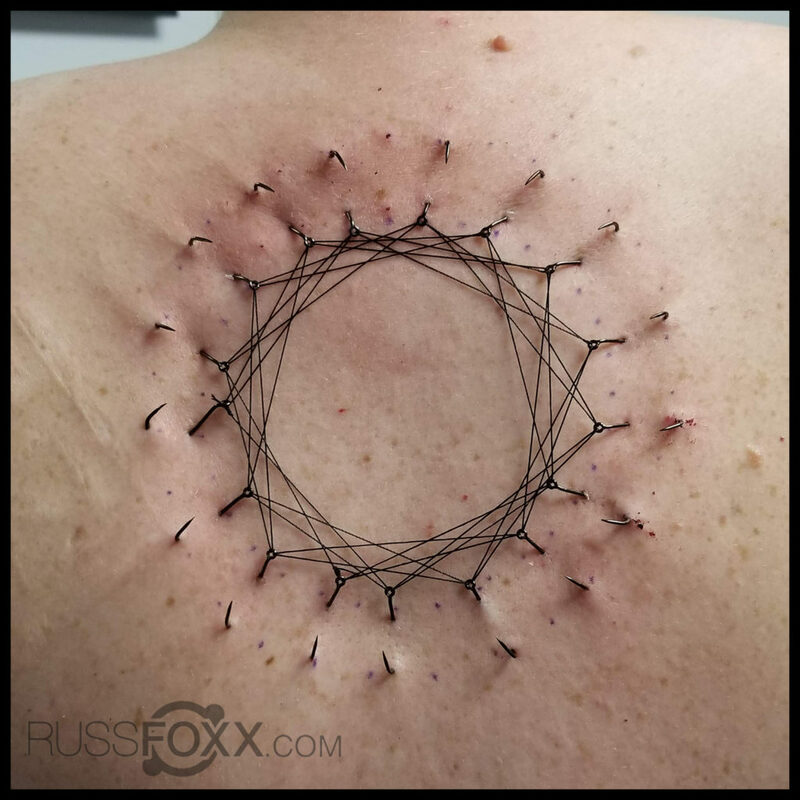 Come by and let our APP accredited piercers curate a new look for you! We carry the best of the best in hand-made quality jewellery and have an eye for creating classy looks! From implant grade titanium to rose gold and genuine diamonds, we have it all at our fingertips. We also carry a huge selection of gorgeous hanging styles for dressing up your existing lobe piercings! Come pick up a gift certificate and give the gift of gorgeous to a loved one! My Newfoundland visit has been delayed to March 2019, so all deposits for December have been refunded. 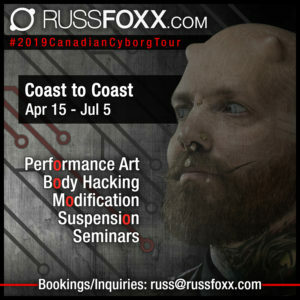 Bookings now open for March 2019 in Newfoundland and Labrador! Email russ@russfoxx.com to get in on it! I’ll be available in Vancouver for all of December until Jan 5. I will fit a Victoria visit in there, so let me know if you’d like to catch me for anything over there. Last Call For Newfoundland Bookings! Last call for bookings at Elite Tattoo Studios in Newfoundland From Nov 29-Dec 13! La ausencia es al amor lo que al fuego el aire: que apaga al pequeño y aviva al grande. 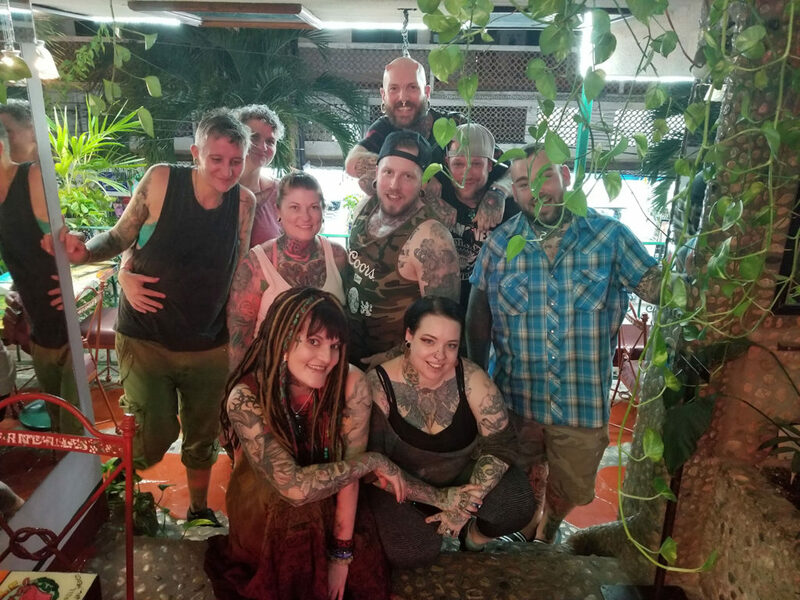 Now that I’m back home from my trip to Mexico with my friends from Human Kanvas, I’ve had a bit of time to decompress and process the absolutely amazing time I had over there. 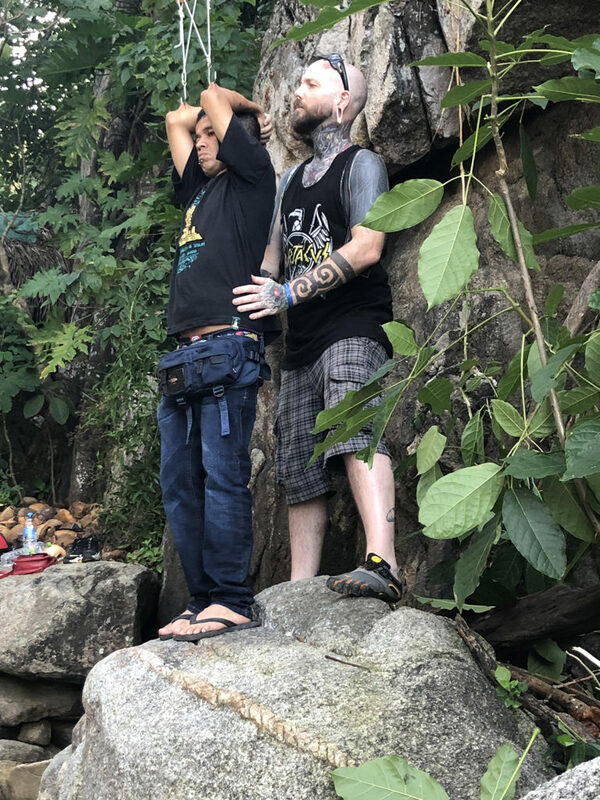 Ahora que volví a casa de mi viaje a México con mis amigos de Human Kanvas, tuve un poco de tiempo para descomprimir y procesar el tiempo absolutamente increíble que tuve allí. 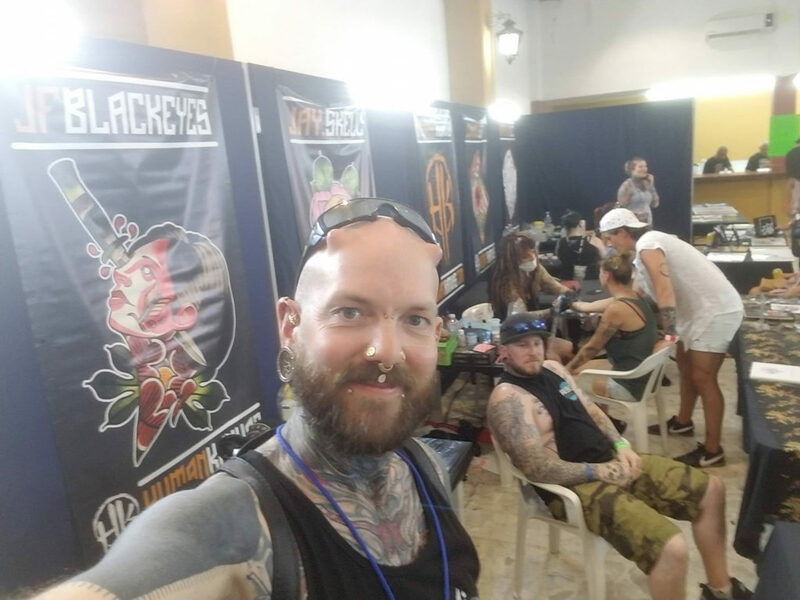 The trip was planned as a work/vacation surrounding the 4ta Expo Tattoo Internacional Puerto Vallarta which was put on by Rafael Perero and the awesome crew at Aztlan Tattoo. 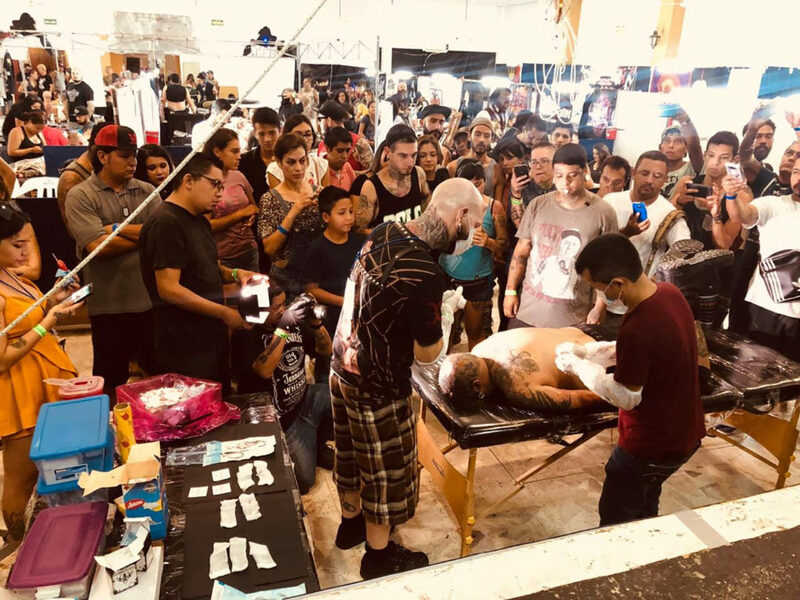 El viaje fue planeado como un trabajo / vacaciones alrededor de la 4ta Expo Tattoo Internacional Puerto Vallarta, que fue realizada por Rafael Perero y el increíble equipo de Aztlan Tattoo. When I arrived at the show, I immediately introduced myself to the team doing suspensions and ended up being pulled into the mix. 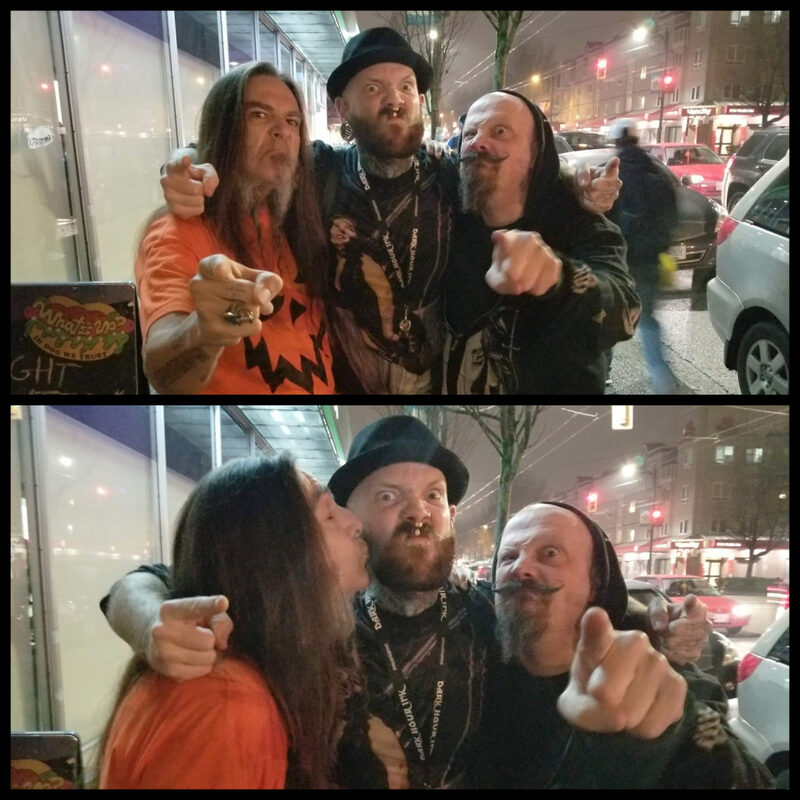 I met and worked with Walker Bod-Mod, Lukas Torres (Mutante Siniestro) and Mike Luna. They do things quite differently over there, so it was interesting to get up close and personal and bring my knowledge and experience to the table and collaborate. They were super fun to work with! 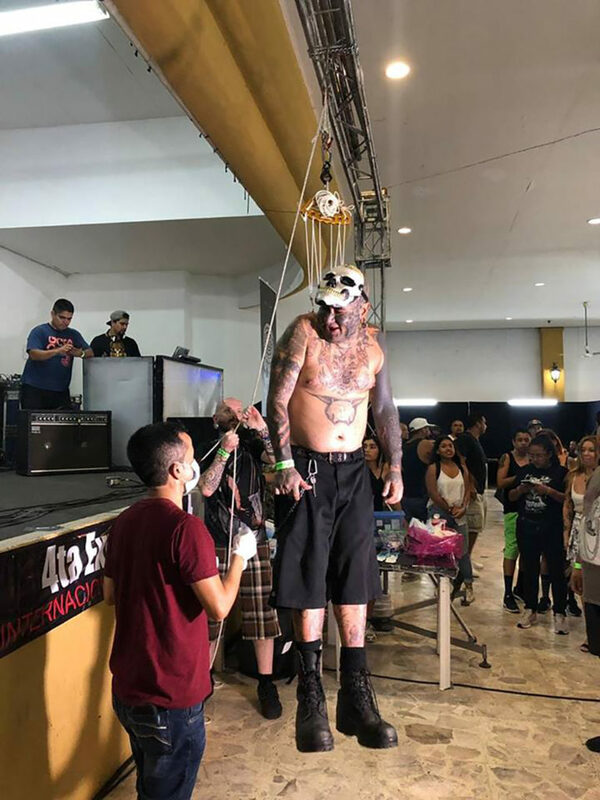 Cuando llegué al show, inmediatamente me presenté al equipo haciendo suspensiones y terminé siendo arrastrado a la mezcla. Conocí y trabajé con Walker Bod-Mod, Lukas Torres (Mutante Siniestro) y Mike Luna. Hacen las cosas de manera muy diferente allí, por lo que fue interesante acercarse de manera personal, aportar mi conocimiento y experiencia y colaborar. ¡Fue muy divertido trabajar con ellos! 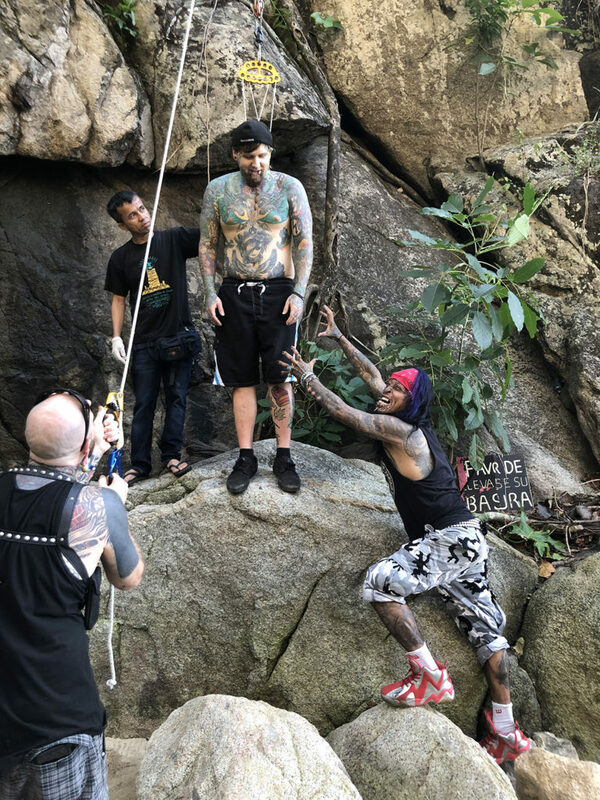 I built a number of new friendships and spent a bunch of time with Kiki Guerrero and his partner Fleurs Maye, at their studio Vallarta Ink Tattoo. They are super rad! 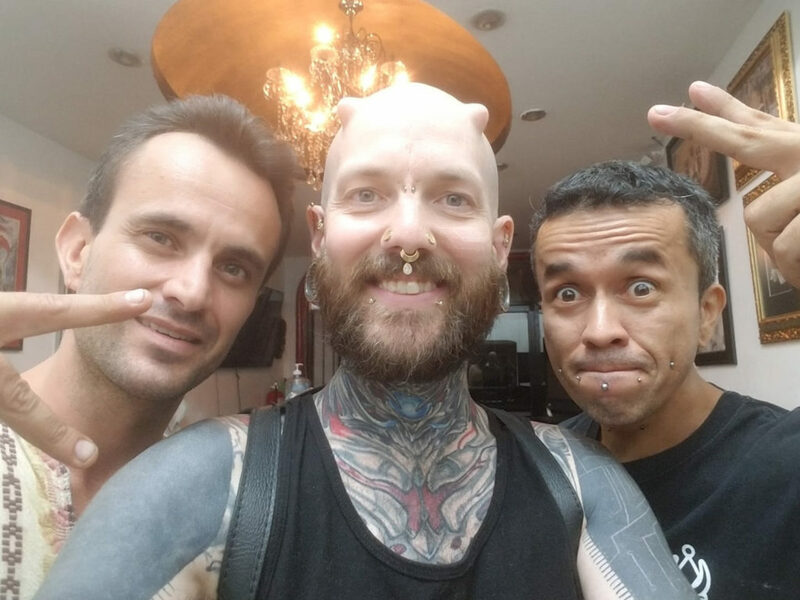 Construí nuevas amistades y pasé un montón de tiempo con Kiki Guerrero y su compañero Fleurs Maye, en su estudio Vallarta Ink Tattoo. Ellos son super rad! 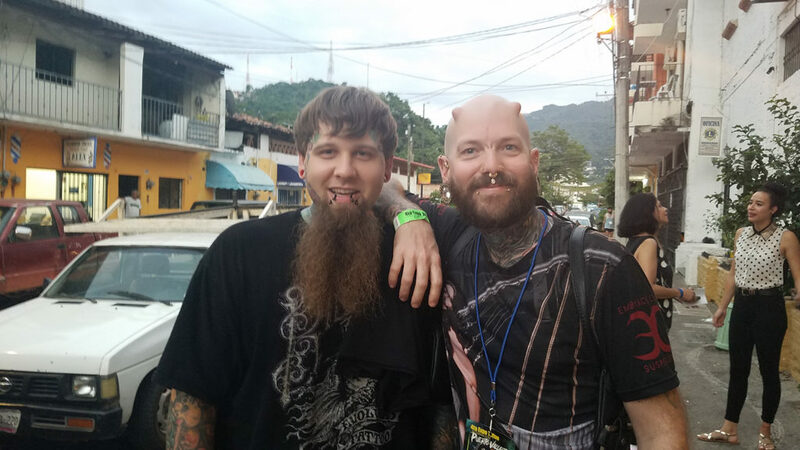 I also met Trevor, an artist from Ritual Custom (R.C.T) in Mississippi. We ended up spending quite a bit of time together. He’s a really awesome guy and a great artist! 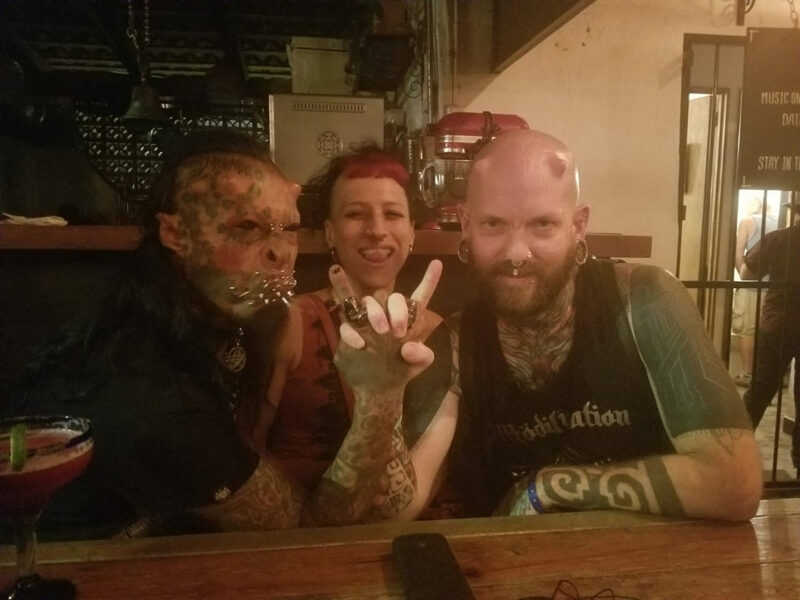 También conocí a Trevor, un artista de Ritual Custom (R.C.T) en Mississippi. Terminamos pasando bastante tiempo juntos. ¡Es un chico realmente increíble y un gran artista! 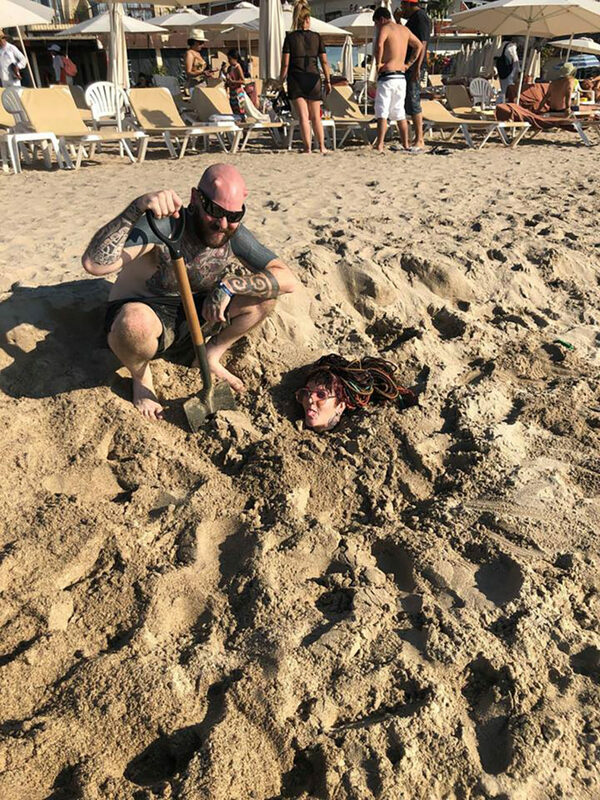 When we weren’t lounging on the beach or out exploring the night life of Puerto Vallarta, it was jet-skiing and burying people alive. 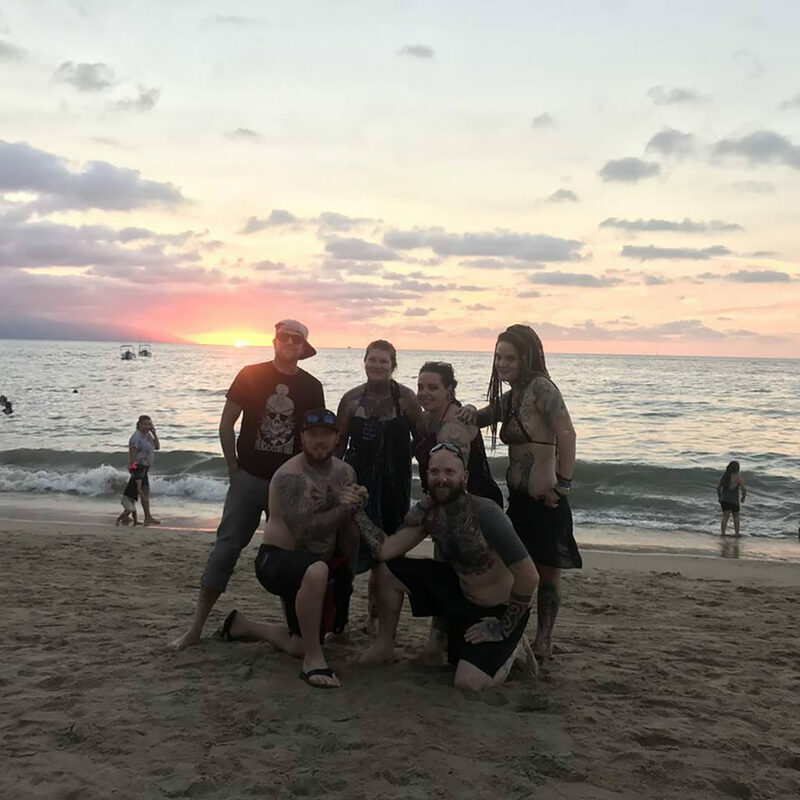 Cuando no estábamos descansando en la playa o explorando la vida nocturna de Puerto Vallarta, se trataba de motos acuáticas y el enterramiento de personas vivas. 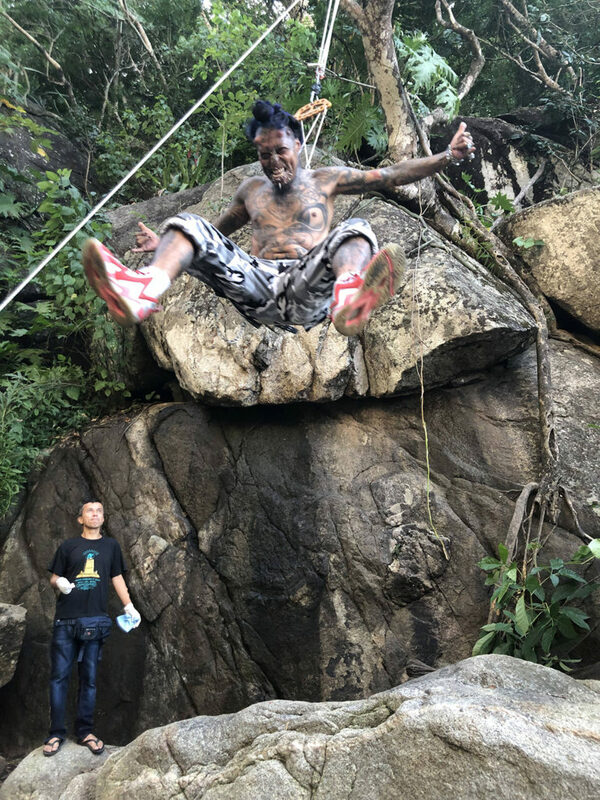 On our second last day we rounded up a crew and hiked an hour through the jungle to Colomitos Beach to do some suspensions. A huge thank you to David Ribeiro for providing his truck to transport everyone! En nuestro segundo último día reunimos a una tripulación y caminamos una hora por la selva hasta Colomitos Beach para hacer algunas suspensiones. ¡Muchas gracias a David Ribeiro por proporcionar su camioneta para transportar a todos! I will return to Mexico in February 2019 to do some working, teaching and performing. In the meantime, time to practice my Spanish! Regresaré a México en febrero de 2019 para trabajar, enseñar y actuar. Mientras tanto, es hora de practicar mi ¡Español! Now Taking Bookings in Newfoundland & Labrador! I will be on vacation in Mexico from Nov 7-14, so my internet access will be intermittent during that time. I will answer messages and emails when I get back! I’m currently taking bookings for Vancouver following that and then heading to visit my friends at Elite tattoo studios in Newfoundland From Nov 29-Dec 13! The Monsters of Schlock Have Left The Building. The Monsters of Schlock just left. Vancouver will be safe for the next 11 months. Here’s some temporary piercing fun for Tanya’s Halloween costume! Our 2 for 1 Piercing Sale is Almost Over! You are unique. 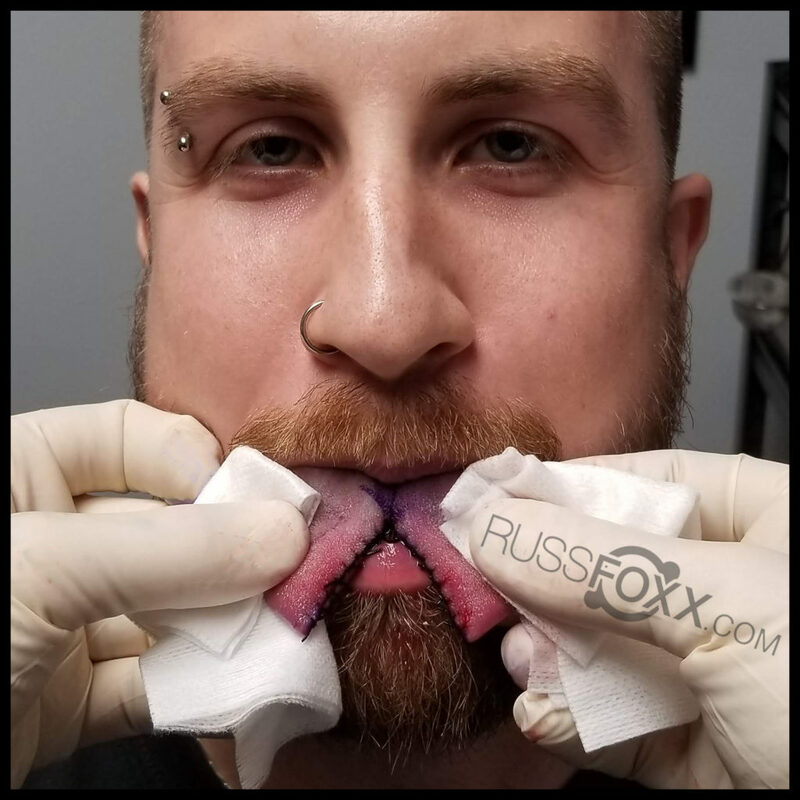 Your piercings should be too! 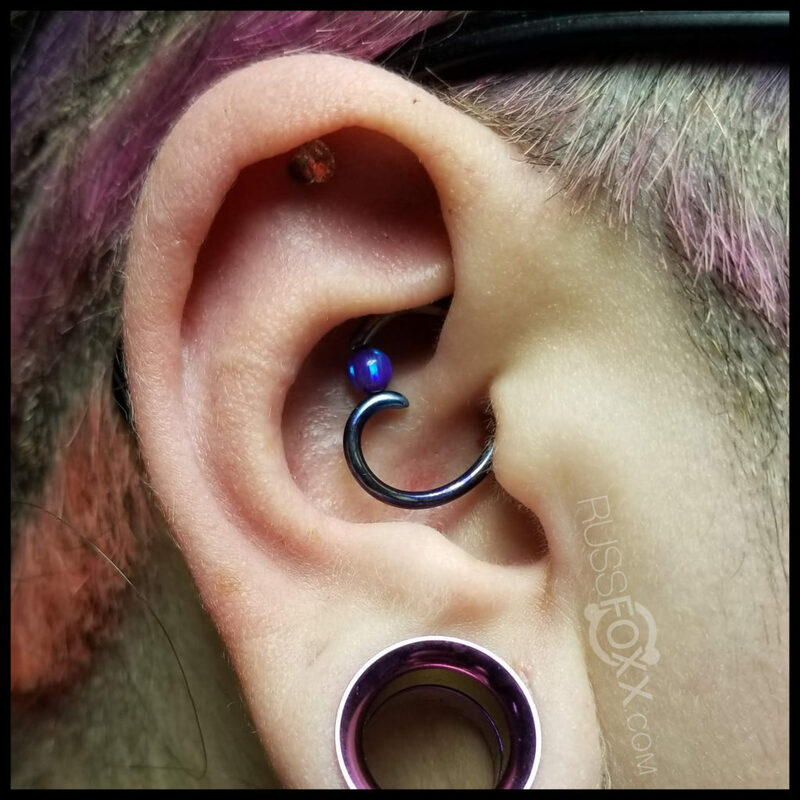 Here’s a fresh daith piercing w/ anodized niobium and faux-pal piece hand-made in Canada with love by Alex at Identity Tattoo and Piercing. 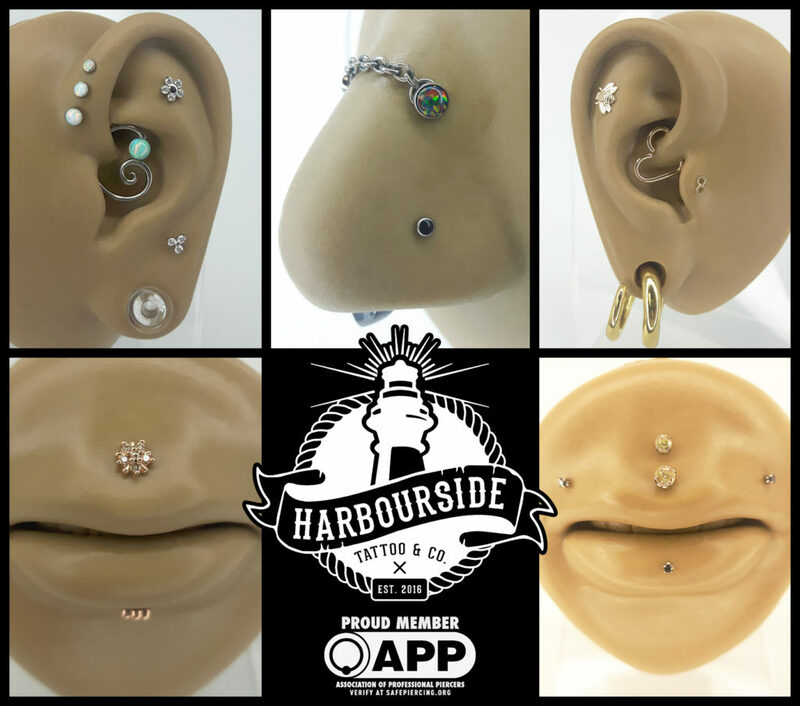 Come visit us at Harbourside Tattoo & Co and have our piercing and high-end jewellery specialists deck you out in the most gorgeous pieces available! Our 2 for 1 piercing sale ends this Wednesday! Come take advantage of the savings while you still can!